Welcome to our page! We are honored that you are here. Here’s a little bit about where you are and where we’ve come from. The Shoals Doula Group is a rebrand of what was formally known as Joy N Birth. Pioneered 12 years ago by April Howton, CLD, CLE, CCCE, this group has gradually become the premier doula group of The Shoals in North Alabama. April, along with many other woman of The Shoals, have been working towards creating a positive birth environment for all couples in whatever way they decide to birth. April has trained many other woman including me (Katie Terry, CLD) who joined Joy N Birth in 2013. April has now taken some time away from the doula world and has “passed the torch” to myself. 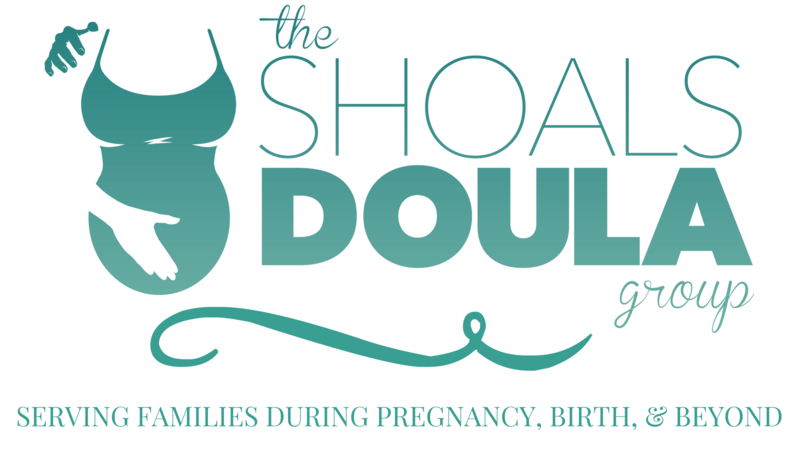 The Shoals Doula Group was formed to continue the path for couple’s and hopes to reach out in our community to encourage more parents to educate themselves before birth. I think it’s appropriate to be writing this post the day before Thanksgiving. Under April’s leadership, I have obtained my CLD, attended 20+ births in 3 different states, and have met many amazing people in the birth community. She saw something in me that I did not quite understand. I have a BS in Communications and was working in marketing before I became a doula… girls like me aren’t meant to be doulas (so I thought). But as I continued in my training and experiences with my clients, I stopped questioning and started becoming grateful for the love and support of my friend. Without her help, I wouldn’t be the wife, mom, doula, or flat out person that I am today. I am extremely honored and humbled to be a doula and to now take over “her baby”. Thank you, April, for your blessings! My vision for The Shoals Doula Group is to continue the trend that our community has been able to experience: positive, informed, and prepared birth. Our doulas hope to walk along side our couples in each step of pregnancy and be the the support in the capacity that they specifically need. When labor comes, we will be there. Whether your the “mean mom” that screams “DON’T TOUCH ME” (raises hand) or you need additional shoulders to cry on. Each birth is different, and our couple’s birth is not our birth, we want to work with our families individually and learn how to best fit their needs. After the baby is born, we will continue to support your family however is needed and hope to continue a lifelong relationship with you. Being a couple’s doula is not a one-time deal; it’s a bond, a privilege, and a memory that we will never forget. Thank you for taking the time to read our first post! There will be many more to come that will be much more sappy than this one I’m sure 😉 stay tuned and check us out on Facebook, Twitter, and Instagram.